Fusions awesome new $150 pack is going to take Darwin by storm! 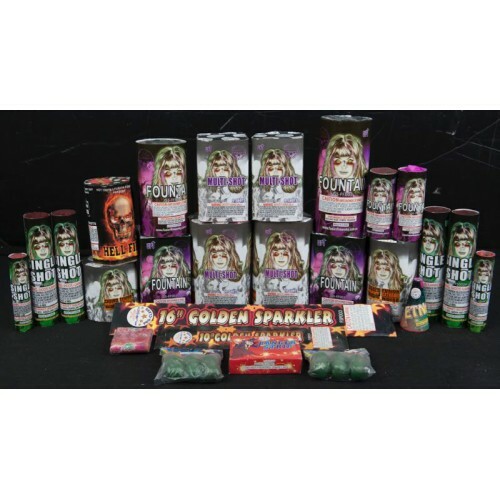 7 multishots, 7 fountains, 6 single shots plus crackling balls, sparkers banging strips and Crysanthium blooms! This is a fantastic family assortment with a great mix of items from large to small and fun.